Posted November 14th, 2018 & filed under Culture, News. 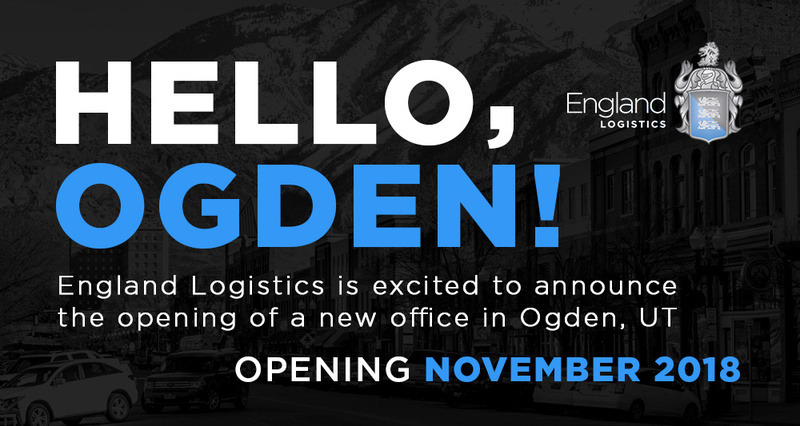 SALT LAKE CITY, Utah, November 14, 2018 – England Logistics, one of the nation’s top freight brokerage firms, has announced the opening of a new office located in Ogden, Utah. This will be the sixth office in the nation for the Salt Lake City-based company. With plans to expand service support for a growing client base and increase overall headcount, the new location is scheduled to open in November 2018. Recognized as one of the 50 Best Companies to Sell For by Selling Power, England Logistics plans to increase headcount through account manager and business development manager job opportunities at the Ogden location. For more information, please visit www.englandlogistics.com/careers.